Hi everyone! 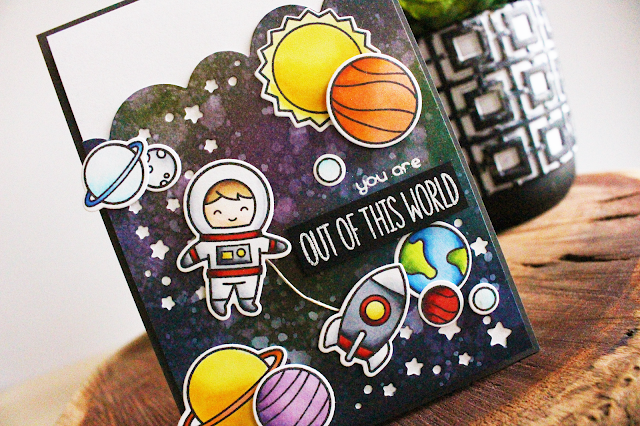 Today I'm up on the Lawn Fawn YouTube Channel featuring a space themed card with two ways to make a galaxy background using Lawn Fawn inks. I tried out two ways to do a galaxy background - watercolour and ink blending. 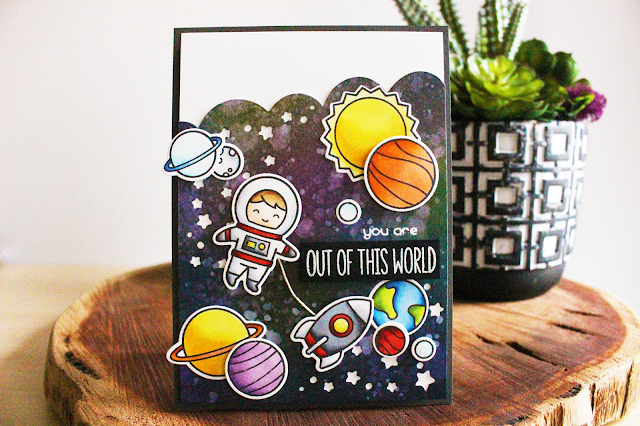 I ended up liking the ink blended background better - but it's personal preference and honestly, they both look like a galaxy equally, I think I was just more drawn to the finished look of the ink blending. I love stretching my supplies in this way. It just goes to show you don't need fancy watercolours or Distress Inks to get an amazing look! The video is linked down below to the Lawn Fawn YouTube channel! Thanks so much for stopping by today and I hope you enjoyed my video and technique.